As frequently the case when we make OOOZ (Out of our zone) purchases, we consult to make sure we’re buying something that can be worn several times in several ways to justify the want. More options lowers the cost per wear and that’s always the signal of a good piece. 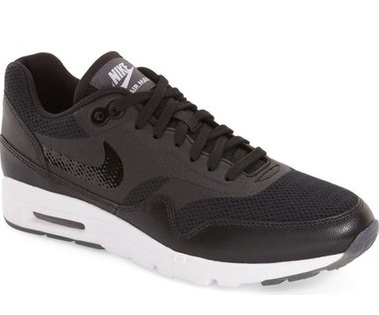 So far we know she’s super hype about wearing these with her Harriet Tubman tee and ankle jeans. Here are a couple of looks that can go from work to weekend without feeling like she’s heading to yoga. Another purchase in the Annual Sale haul was the Calson knit open front jacket. She can wear this over a color striped tee and with her black ankle jeans. Add a statement necklace to make it more meeting approps. We know our lady rocks the pixie, so here’s something a little edgier to take her to happy hour. We both adore Banana Republic’s Sloan pencil skirt (no longer available), but I know she owns one, so that’s what this look is based off of, using the current BR bi-stretch pencil skirt. Inspired by the look of mixing transitional with street, I paired it with a few blouse choices ( a bold print, a color I know she digs -blush -, and a classic tailored button down) and a long fun necklace for a pulled together look. She can also throw on her leather jacket in the fall or instead of blouses, her Wythe NY sweater and J.Crew scarf in the winter. Nora’s weekends are equally busy as her weekdays so having something that is easy and comfortable is major (thanks Dj Khalid!). One of her favorite weekend pieces is her overalls. 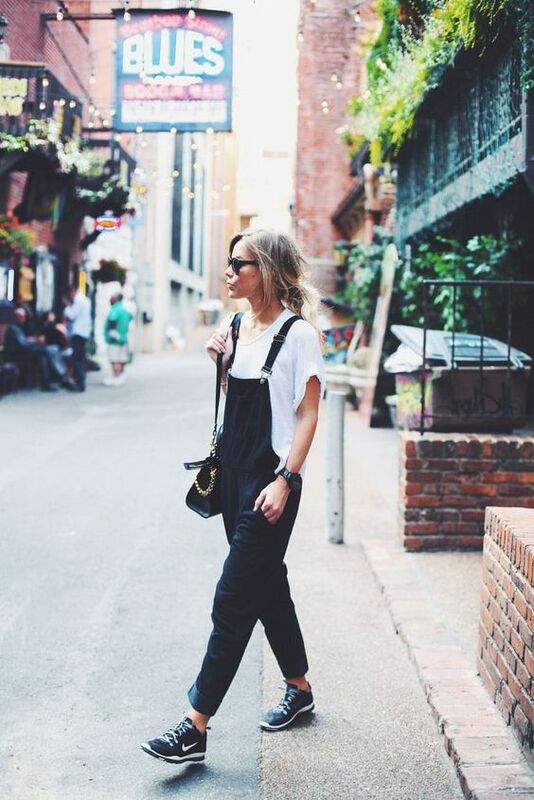 With a purposeful slubby top with a fun detail, it takes overalls from Farmer to Farmer’s Market chic. Pop on her new favorite red lippie and she’s good to go! Can’t wait to see some new #OutfitSelfies with your new kicks!